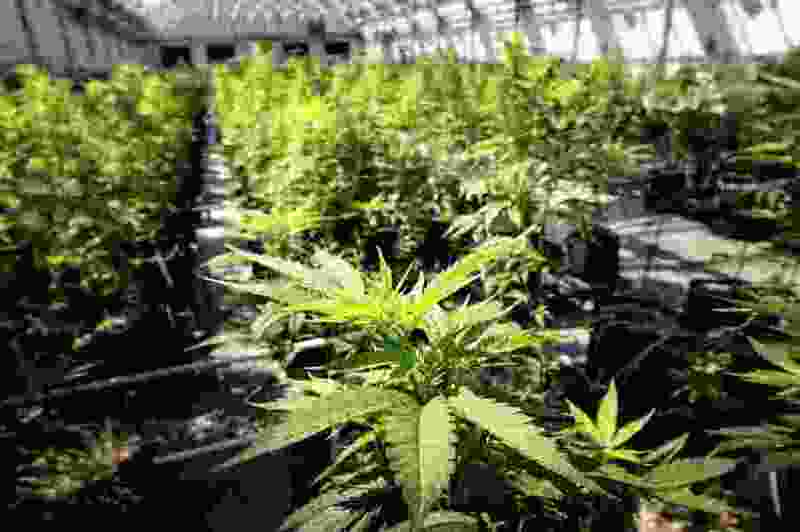 Drug Safe Utah, the group focused on defeating Proposition 2, had the biggest spending day of its existence on Oct. 3, the eve of the announcement that both sides of the medical marijuana debate were burying the hatchet. That day, the political issues committee shelled out $5,000 for field work, another $5,000 on consulting services and more than $240,000 for marketing and advertising, according to financial disclosures posted this week. On Oct. 4, prominent figures on both sides of the medical cannabis discussion appeared with Utah leaders to declare that they’d reached a “shared vision” for medical marijuana in the state. Gov. Gary Herbert promised to call a special session where lawmakers could review drafted legislation that would act as an alternative to Prop 2. As part of the agreement, parties in the negotiation said they’d be de-escalating their respective campaigns for and against the ballot initiative. House Speaker Greg Hughes has credited the accord with staving off a rancorous advertising war. But the financial disclosure covering the period from Sept. 27 to Oct. 25 show Drug Safe Utah invested heavily in ads right before the accord was announced and has continued putting money into its campaign since then. The group spent nearly $412,000 over the reporting timeframe, about $148,700 of that since the so-called compromise was announced. The anti-initiative coalition heavily funded by Utah developers Walter J. Plumb III and Kem Gardner wasn’t part of the negotiations or bound to the de-escalation pact. However, several of the group’s heavyweights — The Church of Jesus Christ of Latter-day Saints and the Utah Medical Association, for instance — did participate in the talks. Connor Boyack, part of the pro-initiative camp, said he's not losing sleep over the campaign waged by Drug Safe Utah. His group, Utah Patients Coalition, was part of the agreement and thus backed off a significant ad buy it had planned to make. But Boyack said his group is able to disseminate its message without spending on television or radio spots. The Utah Medical Association did contribute more than $21,000 to Drug Safe Utah in the weeks after the compromise. Boyack said he wouldn’t necessarily view that as a violation of the de-escalation agreement, unless the money were used for television or radio ads. Other PICs created to promote or undermine Prop 2 were considerably less active during the most recent reporting period. The Utah Patients Coalition raised about $13,900 and spent about $34,000, largely on campaign consultants and yard signs. A $2,000 speaking fee went to former state Sen. Mark Madsen, who traveled from Peru to speak at the press conference announcing the consensus legislation. Boyack said that Madsen, an early proponent of bringing medical marijuana to Utah, also participated in a few private meetings with the Utah Patients Coalition. The stipend was meant to cover Madsen’s work with the coalition while he was in town, he added. Truth About Proposition 2, another group supported by Plumb, has drawn some attention by driving a “mobile pot shop” (it doesn’t actually contain any cannabis) around the state to warn people about the ballot initiative. But the group only disclosed about $1,000 in spending over the most recent reporting period. The group Patients and Families for Prop 2 hasn’t yet filed any financial disclosures, according to the state’s website. Representatives of Drug Safe Utah did not immediately respond to requests for comment.